Why is this so fascinating? Scary as hell. That bike didn't look too stable. 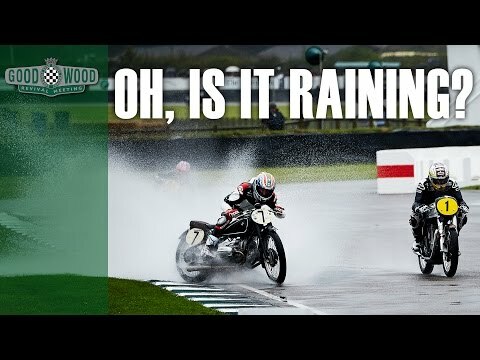 Being Goodwood, I assume all of the bikes were ol... er, "historic"? No wonder he wiped the floor with them. I got to watch him race at Mid Ohio & Road Atlanta. I've never been a huge fan of horse racing, but watching this old motorcycle race makes me wonder if part of the appeal of horse racing is the difference from other forms of racing which are dominated by the novelty of the latest technology. I don't deny the skill of modern race car drivers or modern motorcycle riders, where mastering the latest technology is an element that adds to the entertainment. But there's something amazing about watching a modern racer, a guy who wins races on modern superbikes, hopping on a BMW from 1934 and racing it. I'm left wondering, if you took the modern pool of racers and put them all on similarly old bikes, if the spread in their lap times would increase substantially. In other words, does modern technology, particularly suspension, diminish the skill required to get an excellent time, or allow top racers to increase their margin of victory? Racing old bikes (even though they wear modern safety gear, helmets/suits, that might be a little more aerodynamic) also offers the possibility of making comparisons that aren't usually possible. 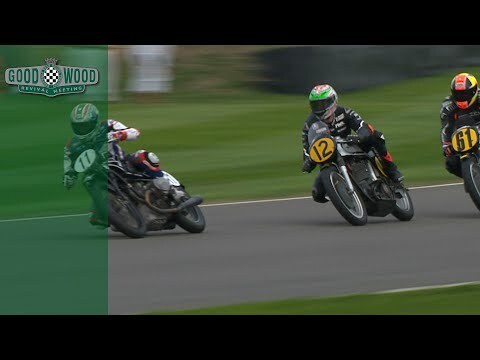 You can argue but not really test whether Mohammad Ali would beat Floyd Mayweather, etc., but maybe we really could compare the time it would take Troy Corser's to get around similar tracks to those used in the 1930s, the way we can compare sprinters with Olympic times from a Century ago. Vintage racing at that level usually involves the real deal as far as the bikes are concerned. It's interesting. The fast guys are fast no matter what they're riding. (It might've been Australia) racing a Norton Manx. He won every event he was in. The film commentator mentioned that the cutoff for bikes in that race was 1954. Not sure what the significance of that year is. Ah... Watched at work w/out sound and too lazy to get up and close my door. Then I saw the link for the Captain Marvel trailer and got up and closed my door. That's crazy. They're actually racing around on museum bikes? Can you even get insurance against wrecking one of those? They're literally irreplaceable, even though people have made a tiny number of amazing replicas. point A to point B as fast as possible. Insurance companies probably frown on that. like a MANX Norton or Yamaha TZ.